This might be the Line-up of the year, and certainly a show to remember, so make sure you don’t pass on this one! 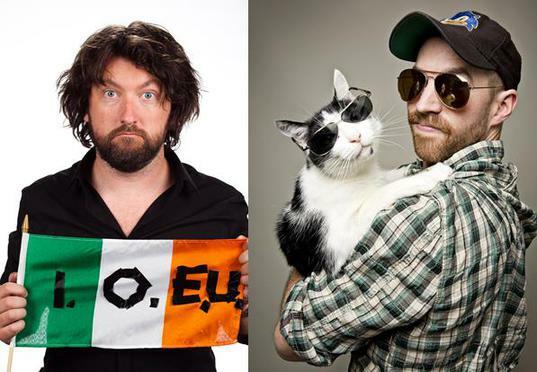 Having appeared on BBC’s Michael Mcintyre Comedy Roadshow as well as adapting his own comedy documentary for RTE, Money, Money, Money: Keith Farnan versus the Economy, Keith has just topped an outstanding eighteen months by appearing at the Montreal Just For Laughs All Access show for the Canadian Comedy Network and Hollands highest rating comedy show, The Comedy Factory. In America, Showtime have Keith has appeared on their new standup show, Live From Amsterdam, which brings together the best American and European comedians working today. He has performed as a stand-up all over the world, from Montreal to Amsterdam to Hong Kong. His four Edinburgh Festival shows have proved a powerful mix of the personal and the political and have sold out their runs at the major comedy festivals in the UK as well as the Soho Theatre and Royal Festival Hall in London. Other TV credits include the Comedy Channel’s Live at the Comedy Store, RTE’s The Social, BBC 3’s Most Annoying People, BBCNI’s One Night Stand and BBC 3’s Olympics Greatest Moments. Radio appearances include BBC Radio 4’s Loose Ends and BBC Scotland’s The Guessing Game with Clive Anderson as well as Colin Murphy’s Great Unanswered Questions for BBCNI. He has written for RTE’s Satirical panel show “That’s All We’ve Got Time For”. He was a recent winner of the Irish Times/Fishamble Tiny Plays contest and has been commissioned to write a play, The Last Stevedore as well as film treatments for various projects. He has also written for Time Out London, Hot Press and The Irish Post. “Time Out Critics Choice” — London, New York, Hong Kong and Dubai!